What is the source of our success? I wrote another letter to Pope Francis; in this one, I discuss why I believe that organizing lay intentional communities may lead to a more engaged, meaningful, satisfying, and effective Christianity than is currently operating in the world. It is my goal to carry this conversation as far as I am able, so I begin by sharing the letter here. After the meetings of this past weekend, my perception of at least two friends has deepened and become richer. Much of our connection was around experiences of love and expressions of affection, and what these mean for us. They also tie in to our vision for living in intentional community. I think I can see my practice of empathy (with the support of NVC) paying dividends, and oh, does that ever make me happy. Early into this year, several friends and I met to brainstorm about goals and concerns surrounding an ecovillage project that we are actively imagining. I took pictures of our notes, and I transcribe them here for reference, sharing, and further reflection. When discussing concern over environmental exploitation and destruction, often particularly regarding global warming, the question often arises: what about nuclear? But what is the question for which nuclear energy is the answer? To slow global warming, the correct question is: how do we go about reducing the amount of carbon we emit? But that's entirely unrelated to the question that nuclear energy answers, which is: how do we generate more electricity? Nuclear energy is pursued in the interests of—and based on an assumption of—economic growth. Without the growth assumption, it is not necessary. With the growth assumption in place, it is not sufficient. We have yet another opportunity to submit public comments on the proposal to permit the Keystone XL pipeline to be built. This time, I'm going to zero in on one particularly pernicious assumption presented in the Final Environmental Impact Statement: that the energy industry will just find alternatives to the pipeline, so disastrous tar sands exploitation is inevitable. Would you like me to write about, discuss, or help with something in particular? I would like to have you as a patron supporting my various efforts. Thinking about the history of Jesus requires thinking historically about the era in which he lived and the circumstances surrounding the early stories written about him. In his book, Zealot, Resa Aslan provides a valuable (and compelling) historical framework for approaching these topics, but ends up using it to say more about the development of early Christianity than about Jesus. Oh you, who hunger for nurturing a life of justice by living in intentional community, I want to share life with you. I hold title to a suburban home and plot in the greater Cleveland, Ohio area, where I am working to foster a space for some of us to live together and support each other. As of this writing, we have plenty of open space in this house for you to live with us, and we also have plenty of need for your help and support as we work to heal and strengthen the broader community. I quite hate the way the dominant culture currently labels things as "relationships". If the period of American history between the end of the US Civil War and World War I—perhaps called the Gilded Age—does not contain events that register strongly in the emotional consciousness of many Americans, it is not because this period did not contribute to major changes in the world of the time. With such intensely violent conflicts serving as bookends, the intervening years may seem like an intermission providing a lull between compelling stories, rather than part of a much larger drama that was, itself, punctuated by violence. Instead, this period demonstrated a larger pattern of aggressive activity, insecurity, and unrest; these were all closely bound up in the ongoing struggle for progress and prosperity, though, and the American ideal highlights the latter glory and dismisses the former distress. It is good to see the full truth. Studying this period allows us to see an example of how persistent economic expansion rapidly sets the stage for systemic shocks and conflict. The dominant economic system is an ugly and frightening thing, and I desperately want to encourage everyone to think through its moral implications. So I am excited that Roman Catholics currently have a Pope who is at least drawing attention to economic issues, because they are so essential to understanding every moral issue. His recent prescriptions, however, betray a poor understanding of the true nature of the disorder from both a historical and a Christian approach. So I wrote him a letter. Statesmen and other influential American figures at the start of the 20th century believed that the dramatic surge of expansion that sharply marked the 19th century was essential to American prosperity and security going forward. In his book The Tragedy of American Diplomacy, William Appleman Williams tracks the continuity of this idea through the middle of the 20th century, and contrasts this uncompromising pursuit of expansion with the American belief that this economic intervention would also bring peace and wealth to the rest of the world. The tragedy that Williams promotes to the title of the book is the fact that American ideals contradicted themselves: they spoke about freedom and self-determination while simultaneously depending on privileging American access and control. The current environmentalist coalition, led by 350.org, is rallying people to write to the US State Department and the President in opposition to the Keystone XL pipeline. The following is what I wrote. My favorite quote from this letter is: “Those who relentlessly pursue economic growth do so out of fear that prosperity is impossible without growth, and in this way they are slaves to this insatiable impulse; this situation is intensely dangerous and hurtful to everyone involved.” Writing this feels so natural to me, and so naturally makes me radically happy. The government of the United States has repeatedly moved to suppress free speech and other civil liberties during times of national crisis as far back as 1798. That is the point of departure for the broad and detailed Perilous Times. With this book, Geoffrey Stone provides an extensive legal history of the country, with a very pointed and important focus on the freedom and constraints of its citizens to offer critiques of the government itself at extreme moments. Though judicial interpretation has consistently worked to augment defenses for such protests, this only comes respectively later, after equally consistent pressure from the government has circumvented all such existing defenses during the time of crisis itself. I turn to the Bible for a complete foundation for how to live in relationship to others, including such charged issues as the deprecation of war. My recent article, The moral vote, prompted an interesting conversation, as I had hoped. A very prominent response to the question of how to vote (and which does, in fact, infuse our decision-making in general) is to choose the best of the available options, even if that choice involves a moral compromise (thus this is also viewed from the opposite angle as the lesser evil choice). It is just this approach that we debated, but this discussion took place in a separate venue, so I wanted to highlight it here. This past Saturday, my housemates and I hosted a party to celebrate our acquisition of a house in which we've been living together in community since July 27. Part of the plan for the party was to put together a speech in which we introduced what we want to do with the house and the community. We each wrote up our thoughts; what we actually presented was an edited combination of these. I provide my original thoughts below, which I think stand well on their own. If you only consider some of the issues at stake, then any institution that you empower with your vote can decide other issues toward arbitrary ends. But it all matters—a lot—because these ends—which you will have shunted in your concern for others—are often immoral and destructive. Thus, compromise is impossible, and instead we must lead through consistent moral unity even in the face of formal defeat. Herein I provide some notes for a course (initially presented Saturday, 2011-02-26 as a SatCo) with the same name. We must work together in pursuit of a just world. This declaration sketches an outline for a community that has this goal at its core. I've seen several powerful films in the last couple of months. Four of them brought me to tears. I want to share my experiences with you, in part so that you can determine whether you might also want to so spend your time and attention. Panoramic views—where we strive to see both broadly and bravely—of both the destruction that we wreak on the world as well as the beauty of a potentially just world are each astonishing, although in quite different ways. Understanding the first can help us work for and teach effectively about the second. If I am going to live in close cooperation with other people, then the resulting community should be based on a shared commitment to certain core principles. Herein I develop the principles that I value, providing a cursory motivation, where appropriate. The next stage of our plan to halt the development of the destructive Keystone XL pipeline is to raise the issue everywhere, including in Cleveland. We want the Obama administration to feel pressure about this continually, and from every direction. I submitted the following letter to the Plain Dealer yesterday; in it I ask you to join me at our Shaker Square rally next week in order to help to deliver this message. I describe the experience of being arrested while participating in the recent Tar Sands Action. Bill McKibben hosted a video chat this past Wednesday for those attending the upcoming Tar Sands Action, and in it he encouraged people to write letters to the editor to raise awareness about the protest. I composed the following letter and submitted a version of it to the Plain Dealer today. It was a little bit long, so I had to whittle it down to size, but I still prefer this slightly longer version. Prior to the start of World War I, the great Powers in Europe (The United Kingdom, France, and Russia) had continually expanded their influence in the Middle East. The conclusion of the war formalized this influence in key areas with the treaties and diplomacy that developed the system of mandates in the region. The United Kingdom serves as a key example of an outside power that reshaped Middle Eastern political institutions to serve its own ends. The victors of World War I, for example the UK, used both their military victory and the regional circumstances in the Middle East to further solidify their dominance in the area. A look at two critical histories of the decision to use atomic bombs towards the end of World War II reveals a different picture than what had been asserted by the official and deliberate oversimplification and distortion after the bombs were used. It is a real challenge, but it is also of real value to assess the basic motives that lead people to behave in certain ways and to make certain decisions. The intensity, tumult, and pointed moral factors that surrounded the US War of 1861 make it a useful focal point for the study of the moral trajectory of the United States, as well as a poignant exemplar of the execution of moral will. The development and strengthening of abolitionism in the North prior to the US war of 1861 portrays an intensifying moral commitment there. Even given the church schisms over slavery in the 1830s and 1840s, however, Northern churches remained ambivalent about antislavery activism, as John R. McKivigan shows in The War against Pro-Slavery Religion. Many abolitionists believed that slavery could only be successfully conquered by means of the church; they worked fervently in their churches to shift them to a position of radical antislavery, but the Northern churches resisted taking such a stand until the coming of the war. In the first decades of the existence of the Unites States, leading to the War of 1861, evangelical Christianity had largely imbued the nation's citizenry with a sense that they were being guided providentially on a path that would enable the country to usher in the Kingdom of God. With The Civil War as a Theological Crisis, Mark A. Noll describes the problems that were growing within this national understanding as the war approached and then broke. He also hints at how this crisis may have fundamentally changed religious attitudes throughout the country. A major development that would contribute to the US war of 1861 was the Southern decision to secede from the Union. Many historians see an array of factors that led the South to this point. With Gospel of disunion, Mitchell Snay argues that the moral and cultural influence of religion contributed significantly to the South's growing sense that it no longer could participate in the Union. In this book, Snay shows how Southern religion ended up being a multipurpose tool in facilitating the coming war: it identified points of conflict with the North while it also helped to bring Southerners together. In response to the recent financial crisis, the Federal Reserve independently gave out loans that dwarfed those of the Congressional authorization in TARP. Recently, some very interesting and troubling details have emerged about those loans. Religious institutions of the United States in the early and middle nineteenth century closely followed and contributed to the larger national efforts. Thus, as C. C. Goen describes in Broken Churches, Broken Nation, the schisms in the dominant Protestant denominations in the 1830s and the 1840s both foreshadowed and prepared for the more destructive civil crisis to come. This article examines other sources that discuss the policy of economic growth, focusing on sources from March, 2011. How did the United States perceive and justify itself with respect to the crisis surrounding the War of 1861? In order to understand “the moral tone of the victorious Union” (xii), James Moorhead reviews the particular position of Northern “mainstream” Protestant denominations in his book American Apocalypse. This article examines other sources that discuss the policy of economic growth, focusing on sources from February, 2011. More jobs? What about food? In response to a comment on my last article, I point out that emphasizing job creation reinforces unsustainable growth policies, and I also consider the relationship between jobs and food in our society. This article examines other sources that discuss the policy of economic growth, focusing on sources from January, 2011. If we transitioned to renewable energy from the Sun, and if economic growth could continue, how long would it take for humanity to use all the energy that the Sun provides? I had an opportunity yesterday to invite my fellow parishoners to participate in church choir, and I tried to make the call as radical as I could. This article examines other sources that discuss the policy of economic growth, focusing on sources from December, 2010. The ferocity with which powerful interests are attacking WikiLeaks and Julian Assange provides a hint about the potency of the information that WikiLeaks has been publishing. Democracy Now! has been both doing an excellent job of covering the ongoing WikiLeaks affair while at the same time using that information to agitate for justice at the 2010 United Nations Climate Change Conference (COP 16) in Cancún. All of this provides a valuable window into how power operates and responds to threats. This article examines other sources that discuss the policy of economic growth, focusing on sources from November, 2010. I spent two weeks in October visiting the Dancing Rabbit Ecovillage. In this article, I give an overview of how that experience affected me, and what I learned from the members of that community. As the first invited guest of the Town Hall of Cleveland, T. Boone Pickens talked about his energy plan. In his presentation and the following question & answer session, Pickens made it clear that his plan is largely similar to the existing approach—requiring increasing exploitation of fossil fuels, giving a nod to renewable sources, and stubbornly ignoring the problem of growth—but focusing on domestic resources instead of foreign ones. Here is the story of how my bike lock failed, but how Kryptonite, its manufacturer, shouldered the financial consequences. The first meeting of the Beyond Cleveland sustainability group was not very well attended, although we who did attend did have a meaningful conversation. I reflect on the implications of this meeting in this article. I recently finished reading A People's History of the United States. In this article, I comment on the impact of this book, including its strong impact on me as well as some of the lessons that I learned about how resistance against oppression can fail. If you believe that we, as a culture, are not living sustainably, then we must critically examine why we are not living this way, and we must work actively to fix this problem. Beyond Cleveland is one group working to increase understanding of the problem of sustainability as well as to plan action to solve it. We are meeting formally for the first time on July 10, 2010. I encountered a very aggravating problem in which it looked like Python's fcntl.flock was simply not working, for an unknown reason. I finally figured it out, and this is what I learned. I had a lot of fun this weekend, mostly revolving around several discrete events. I desire to both share some of my sense of the weekend as well as comment on how community presents itself at such events. Some situations may require strong encryption in ZIP files, but the common zip utility available on GNU systems does not support strong encryption. Thankfully, 7-Zip and P7ZIP are Free Software projects that fill this niche. This essay provides a brief overview of how to find and use 7z, which both projects provide, for this purpose. A number of activities kept me busy this rainy weekend as I worked in a few venues to try to share ideas with and among others. 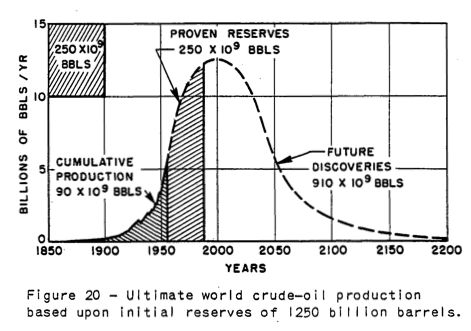 In 20 years, oil will be obsolete? Two of my friends comment on my most recent article about growth. I think that information wants to be free, and I want to live in a society that has healthy mechanisms for supporting the free flow of this information and the creative people who author it. But when they ask me to donate to support their work, I always cringe. I don't think we should buy the information that they produce, but rather that donations should still be purchases … of recognition, access, and other interesting intangibles. The US military recently published a report in which they warn that Peak Oil is as near as two years away. They stress that this is a threat that should be met with “a massive expansion of production and refining capacity.” Paul Krugman just published a long article where he called our attention to the upcoming dangers of Global Warming. But he asserts that we still need to be able to grow our economy. US Energy Secretary Chu is right there to support traditional economic solutions, which are rooted in an assumption of growth. Note to all: this does not add up. No growth can be sustained indefinitely, and it is this fact that requires our undivided attention. In some situations, it may make sense to try to significantly reduce the number of duplicates in a collection, while ensuring that memory usage does not increase without bound. To help with this, I created a Python utility called a RecentSet, which serves as a sort of first-pass filter for significantly reducing the number of duplicates in a collection. I provide an overview of my thoughts on the problem facing society, why I find it compelling, and how I want to respond to it. This article provides a detailed examination of one use-case that combines xargs with bash and find, taking care to correctly handle strings that are passed between these utilities. I reflect on my initial impressions of the 2008 Iron Man movie. In which I comment on the changes that have been suggested for a major revision to XML. This article describes how to customize the way that 4Suite finds objects associated with URIs (a process known as resolving URIs). So, Amazon's S3 service is described as providing cheap, scalable data storage for "external developers of any application". But isn't it a great solution for personal data backup, as well? This document defines WebCap, a simple language for explicitly grouping sets of URIs having a specific relationship to one another for a particular purpose. A new utility written in XSLT 2 blipped across my radar, and I just had to see if I could pull it in using my XSLT 1 tractor beam. No sweat; this time I didn't even have to use EXSLT. The trunk line of KDE development is being used actively for developing KDE 4, which may be released late this year or early next year. The KDE build documentation warns that "the trunk" is very buggy and may not work at all. This article describes a successful build of the current state of some KDE 4 components, and gives some building and development pointers from a newcomer's point-of-view. With a lot of hand holding, I was finally able to get my soundcard to accept microphone input under Linux. Here's how. This article highlights a set of common XML character entities that I have converted to use the ml-macro syntax. A fundamental question moves one researcher to explore the future of XML with the future of XSLT, which in turn moves another researcher to explore alternate XSLT futures. This document describes and tracks EXSLT issues that need attention. This document attempts to summarize activity surrounding the XBEL bookmark format since 2001. The spirit of the xml:base Recommendation and that of RFC 3986 are at odds with one another. The solution? A very simple new member of the URI family of specifications. People want to be able to take web identifiers, or Uniform Resource Identifiers (URIs), and copy them into their web browsers to obtain information related to such identifiers. Designating similar but not identical URIs to those used to locate documents may help in solving some web architecture problems. This report summarizes these problems and discusses this solution proposal. This article provides several example command lines as a quick reference for xmlcatalog.